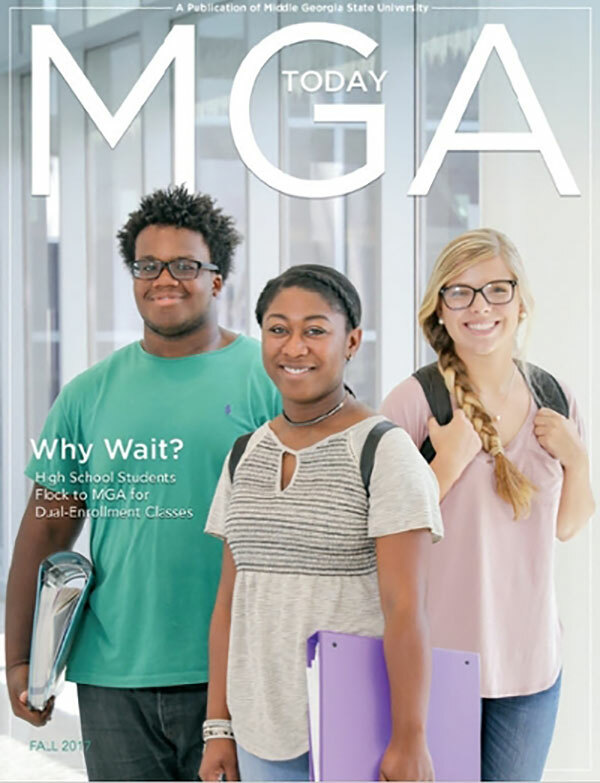 The fall 2018 edition of MGA Today magazine is now online! Read about high school students getting a jumpstart on college through Middle Georgia State's dual enrollment program. Other articles explore the University's Knights Impact service-learning abroad program, the Knights athletics program, the charter graduating class of students in the master's degree in nursing, and the recent Board of Regents meeting held at MGA.